Tired of making your baby more upset poking and moving them to get a reliable temperature at 4 o'clock in the morning? Be safe and sure of your baby's comfort with this easy to use thermometer. The ergonomic design with its two color display makes it easy for you to get the temperature quickly and accurately. 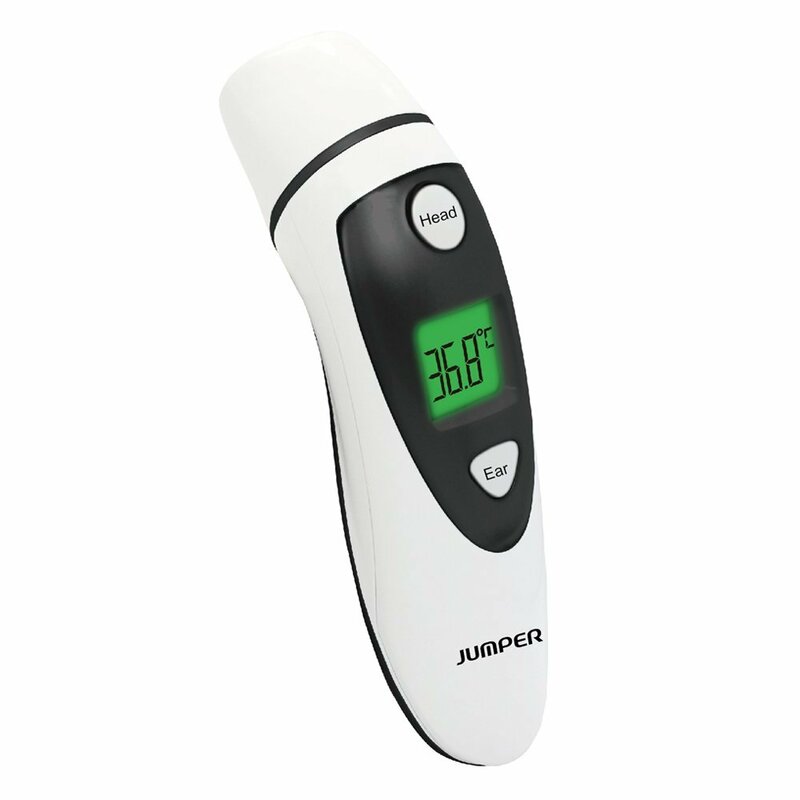 Digital Non-Contact Thermometer uses infrared technology to measure your baby's temperature accurately in Celsius or Fahrenheit, from a Distance of 1 to 7 inches, even while fast asleep. No touch - no bacteria! It is safe and hygienic with no need to disinfect after use, so you and your baby can go quickly back to sleep. INFRARED TECHNOLOGY, specially designed to safety and easily measure both your baby's temperature, a bottle of milk a well as anything or anybody else, in Fahrenheit or Celsius. DUAL COLOR BACKLIT LCD SCREEN, in red and green for quick, easy reading and understanding of your baby's present condition. - Dual Color Backlight LCD Display. Normal = Green. Fever = Red. 2 Scan the forehead from one side to the other. 4 Read the temperature on the LCD Display. 1 Aim the sensor to the milk bottle. 2 Press the button #3 on the right hand side.